This week the Horror Duo take a second look at a pair of films that hit major milestones in 2017. 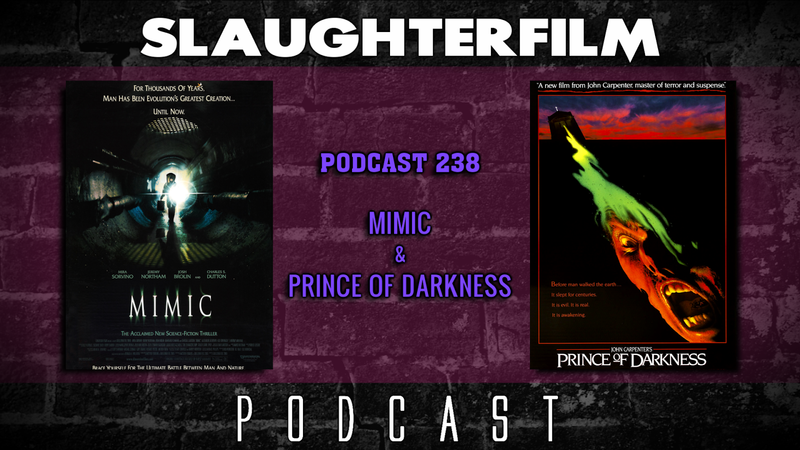 Forest shares his thoughts on the Guillermo del Toro directed bug flick, Mimic. Cory interprets the often dismissed, and science heady John Carpenter film Prince of Darkness. Cory & Forest also chat about future 2017 film, including; Cult of Chucky, The Return of Leslie Vernon, Rings, and the ridiculously titled The Predator. All this and did Queen Amidala have a secret affair with Obi Wan? For more Slaughter Film news and reviews, as well as show notes and special events, make sure to visit our website; SlaughterFilm.com.